Kick A Rock: Birth of the Living Dead... yes please! There's not much to say about this pleasant shockumentary about the creation of one of the greatest zombie films ever made. Simply put, it's amazingly entertaining. Especially for those who are fans of Night of The Living Dead! 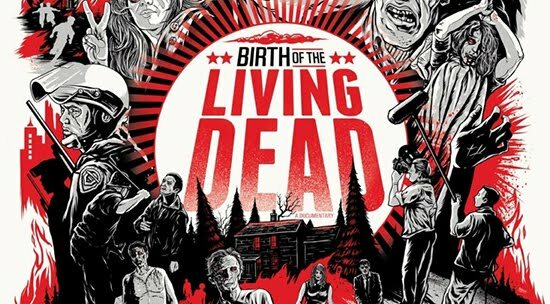 As one of my top picks for things to watch on Netflix, Birth of the Living Dead offers an exciting glimpse at how this gritty flick came to be. From the history of how George A. Romero started his career in film, to the unfortunate mistake that allowed this pic to be listed in the Public Domain, you won't be disappointed by everything it has to offer. And best of all, it's only an hour and sixteen minutes long. So the next time you can't decide what to watch on Netflix, why not give this little number a try.